This book consists of a series of 82 precise, easy-to-read articles by internationally renowned scientists and emphasizes the practical approach to HPLC with minimal theory, although the underlying principles for peptide and protein separations are clearly expressed. All of the major modes of microbore, ultrafast and analytical HPLC are discussed, including size-exclusion, ion-exchange, reversed-phase, hydrophobic interaction, and affinity and immunoaffinity chromatography. A section on preparative HPLC, including displacement techniques, is also presented. 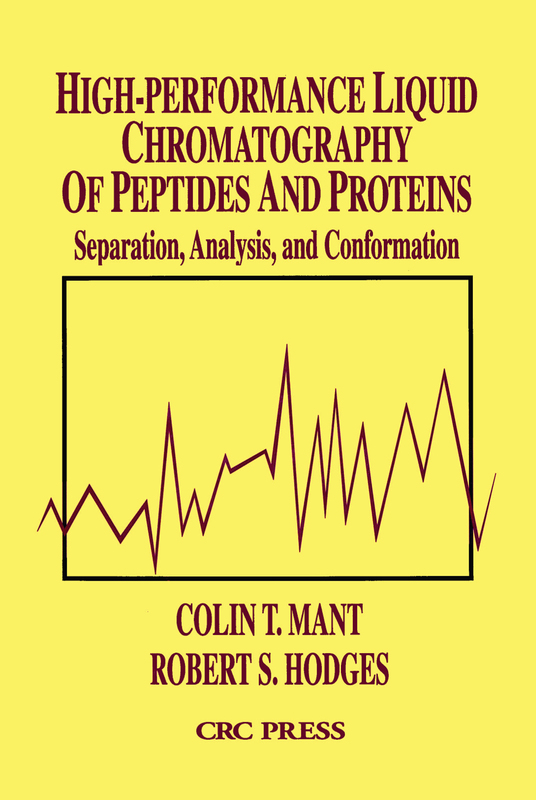 Problem-solving approaches to the separation of various classes of biologically active peptides and proteins are thoroughly explored, while the importance of peptide standards for monitoring column performance and for optimizing separation conditions is emphasized. Several articles focus on the choice of the correct detection method (electrochemical, UV, fluorescence), as well as the need for a proper knowledge of approaches to column and instrument maintenance and trouble-shooting. A section on predictive approaches deals with both computer simulation of peptide separations and peptide structure. The book also includes complementary techniques to HPLC, as well as other useful applications of HPLC. It enables both novice and experienced chromatographers to realize the full potential of this extremely powerful technique, in the process making an important contribution to scientific literature.